According to several studies, the gap between the rich and the poor in the U.S. is wider than in any developed nation. On a global scale, eight men own as much wealth as half of the world’s population. 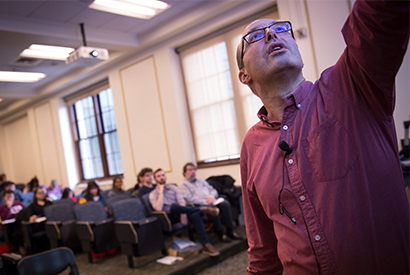 First-year Carnegie Mellon University students are examining different demonstrations of inequality as part of the Dietrich College of Humanities and Social Sciences’ Grand Challenge Seminars. The seminars are designed to tackle complicated societal problems from multiple angles and perspectives. 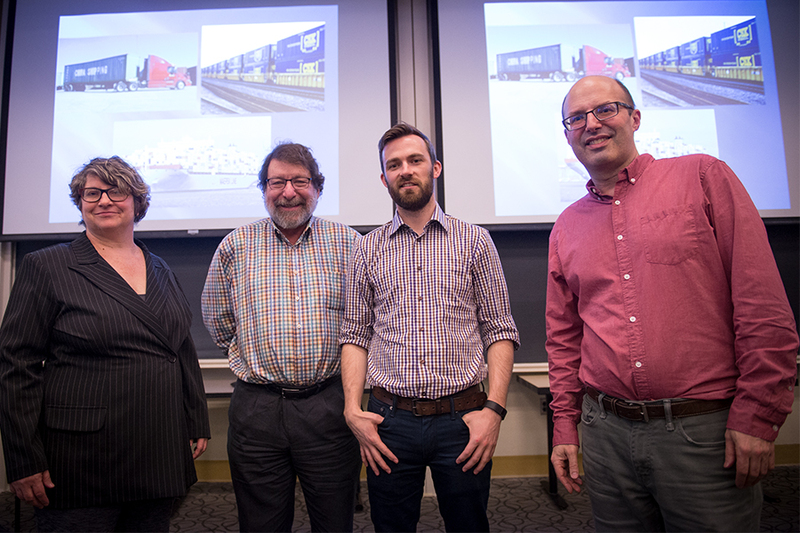 Paul Eiss, associate professor of anthropology and history, Mark Kamlet, Provost Emeritus and University Professor of Economics and Public Policy in the Dietrich College and Heinz College of Information Systems and Public Policy, Kody Manke, assistant professor of psychology, and Kathy M. Newman, associate professor of English, are coming together to explore inequality across their areas of expertise. “In my own research on the relationship between culture and the economy, as well as my political work on public school funding and local elections, I have become increasingly aware of the pernicious effects of income inequality in the United States. That is what inspired me to put together a team of faculty to teach this course,” said Newman. 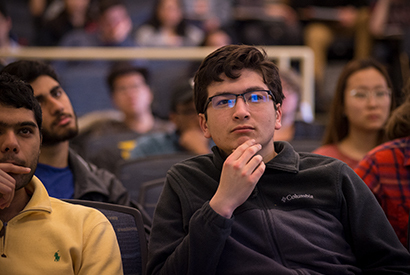 Students are learning how inequality has emerged as a social and political problem in the 18th and 19th centuries and how it has re-emerged as a key concept for current socio-political movements. In addition to inequality’s past and present, the course focuses on the future, especially with the coming of increased automation and the elimination of jobs being done by humans. Kamlet, who taught the first part of the course, focused on the potential impact of new technologies on human jobs and how they may well prove to be one the biggest challenges countries like the U.S. face. He believes that the process of automation will be more nuanced than some projections suggest. The economics aspect and set up of the class have been most interesting for Anirudh Narayanan. Topics shifted from economics to cultural studies with Newman, who used Edith Wharton’s “The House of Mirth” as a focal point. In his part of the course, Eiss had students produce an archive of inequality in global terms. Each student researched a commodity that gets produced and circulated globally and used it as a window to the relationships between distant parts of the world to learn not just how things are produced, but how the way they’re produced contributes to inequality around the world. For Josh Pinckney, this interdisciplinary discussion is the reason why he signed up for the seminar. Manke gave inequality a different perspective by focusing on the situation of inequality in America, focusing in particular on inequality along racial and socioeconomic lines. “I chose the areas of education, criminal justice and housing because they are very clear examples of how people’s identities—things like their race, their gender, the amount of money their families make—play important roles in the way their lives play out,” Manke said. Additional campus activities were closely related to the seminar. The annual International Film Festival focused on “Faces of (In)Equality” and brought 14 award-winning films to Pittsburgh to explore the realities of societal imbalance. And Newman organized a series of events around Karl Marx’s bicentennial. Pictured above are Kathy Newman, Mark Kamlet, Kody Manke and Paul Eiss.